this list is not exhausted, our covered scope is to big for the internet! Please enquire via phone. We would love to hear from you. 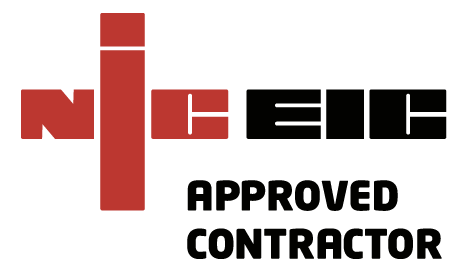 We are also approved contractors with the NICEIC and we are fully insured. BS 7671 (the IET Wiring Regulations) sets the standards for electrical installation in the UK and many other countries. The IET co-publishes the Regulations with the British Standards Institution (BSI) and is the authority on electrical installation. 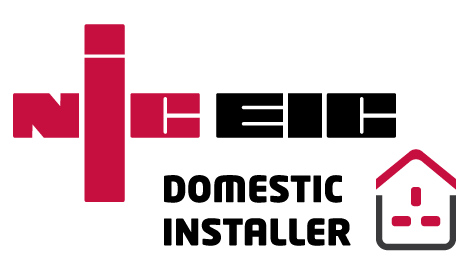 The National Inspection Council for Electrical Installation Contracting (NICEIC) is one of several organisations which regulates the training and work of electrical enterprises in the UK. The NICEIC is one of several providers given Government approval to offer Competent Person Schemes to oversee electrical work within the electrical industry. It is a privately owned body (the owner being the Electrical Safety Council, a registered charity) and not a government organisation, as often incorrectly assumed. Do you feel you don't have enough have enough lighting? Do you feel you don't have enough socket outlets? Do you have extension leads running around your house? Are your switches and sockets easily accessible? Do you feel “safe” or do you have concerns? If any of the above answered yes, contact us as our advice is free, as are our quotations. we would recommend to have an inspection carried out by a competent electrician (us!) if you are concerned. +What is the the general procedure of an Electrical Installation? Electrical installations are are generally carried out at the stage of the buildings shell, before the plastering and decorating stage. wires need to be “chased in”. This is a term used to describe the cabling being “buried” and hidden in the walls. other ways to hide the cables would be running them within stud walls, or placing them within containment such as trunking or conduit. This is required in order to get all the required circuits in place, so they can be hidden and plastered over for the finishing and decorating stage of a build or re-furb. This phase is called “first fix” and it prepares the underlying essential work of the electrical installation. The time this takes really depends on the size of the job in question. But a well carried out first fix in a domestic 3 bed property can take anywhere between 4-14 days, depending on how many circuits need to be installed. After the plastering process has taken place, the electrician will return to finalise the job. This is the point that all the socket and light switch facias are installed, and lights and power are connected. This is a very basic example of the process in a typical 3 bedroom London house. industrial, commercial and larger domestic installs can be more complicated, and a more thorough and in depth description would require the viewing and planning of the job. On completion of any Electrical Installation, a certificate of compliance should be handed to the client, and the work registered with the local authority. We are job worths and love talking about electrical installations! So please don't hesitate to contact us with any questions you may have. This is a very basic description and omissions and exceptions can be made in some circumstances. An MCB (Miniature Circuit Breaker) is designed to automatically disconnect the electrical circuit during abnormal conditions of the current. Including over load condition as well as fault conditions. +How much does an Electrical Installation cost? The only obvious answer here is a very sarcastic “How long is a piece of string”?! However, a guide line figure for a very standard Electrical Installation to be carried out to a 3 bed property in London, from start to finish with materials included by a reputable and registered installer, today in April 2016, would be around £3000-3500.00. +How much do call outs cost? Emergency call outs are charged at £60.00 for the first hour, and £30.00 per hour there after. We aim to fix the fault within the first hour, and it is rare we can not achieve this.